The black mold will cover the shrub leaves and if you don’t take immediate action, your plants might be beyond salvation. The main responsible factor for this black mold is the sap-sucking insects causing black spots on the shrub leaves. Why is it harder to get rid of? Well, this is because once the black mold is attached to the leaves, it won’t come off as easily, it will only spread further. 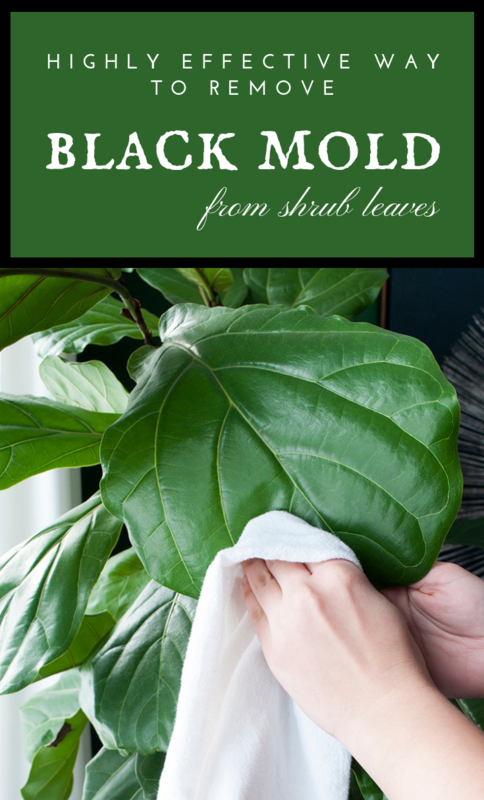 Thus, keep reading this article and check out the most effective way to remove black mold from shrub leaves immediately. Start off by mixing 1 teaspoon of clove oil and 2 teaspoons of dish soap into 1 gallon of lukewarm water. Then, dip a clean soft sponge into this mixture because you will be using this to wipe the leaves. Before wiping, make sure you squeeze the sponge to get rid of the excessive mixture. You don’t want to cause even more problems by adding moisture on top. Now, you can use this to wipe the soapy water over the areas with black mold. Make sure you use gently rubbing and continue wiping until you see the mold is coming off. Lastly, rinse the leaves very well with clean water. Personally, I would reapply this mixture for several days until finally, the black mold was washing away. Now that you were able to get rid of the black mold, you should also know how to prevent this from ever happening again. Thus, check the plants for insects such as mealybugs, aphids or scale. These are the most responsible for this fungus. Using the same mixture in a spray bottle, make sure you spray the moldy parts of the plant. You should coat the insects directly until the leaves are dripping. Always come back to the plants and check if the pests come back.